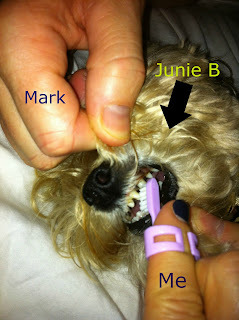 Junie has had to have her teeth cleaned twice in the past year and a half. 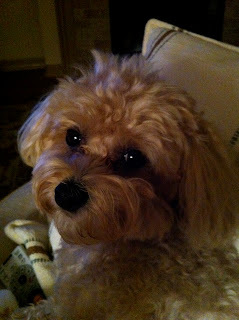 This is getting a little pricey-I mean how much anesthesia does it take to put a lap dog down? And just think about how hard it probably is on her little organs to process the drugs? 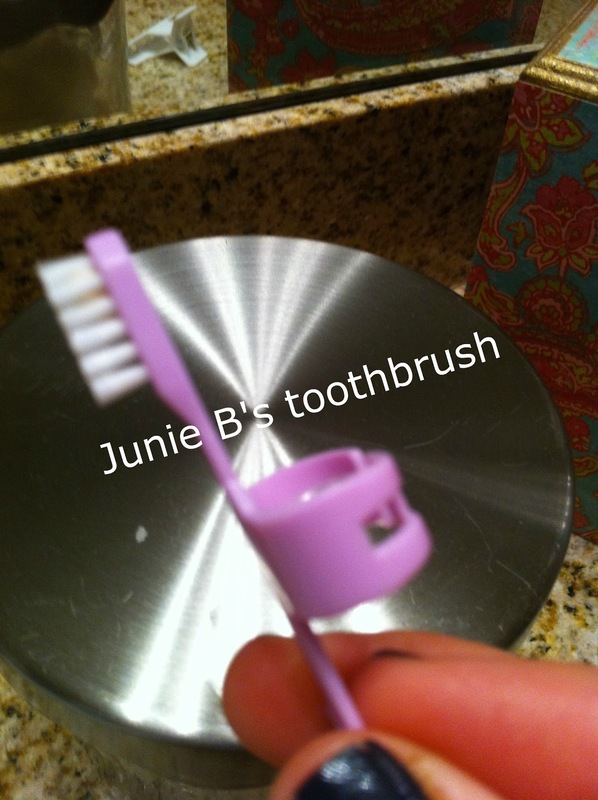 Therefore, we are attempting to brush her teeth a few times a week so that maybe we can stretch these cleanings out. We never thought it would take two of us to brush our 9 lb maltipoo's teeth. They say a dog's mouth is cleaner than a human's. Hmmm...I'm not thinking so but her mouth sure is cleaner now! Does she get a treat after brushing?